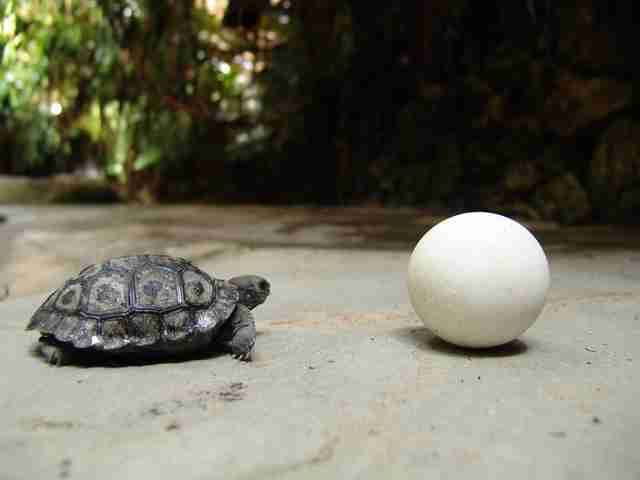 This teeny-weeny tortoise, and his eight equally adorable siblings, have a looooong life ahead of them - but even the most epic of journeys must start with one small step. In fact, if all goes well for these little living artifacts, they could still be around in the year 2216. 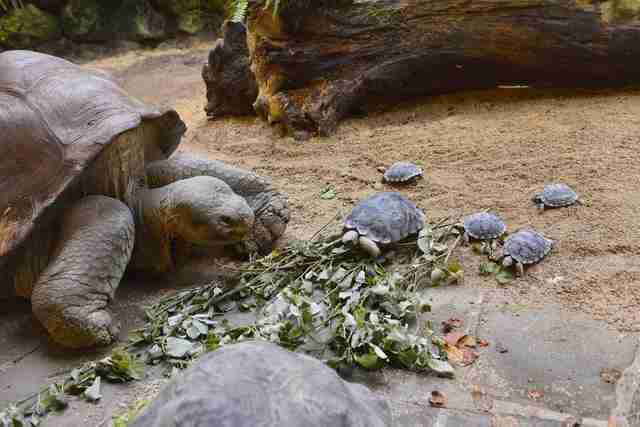 This week, a Galapagos tortoise named Nigrita welcomed the nine tiny hatchlings into the world at the Zurich Zoo in Switzerland, home to a breeding program aimed to save these endangered animals from extinction. At age 80, Nigrita is easily one of the oldest new mothers on the planet. She conceived the shelled babies with her strapping young mate, Jumbo. He's 54. The pocket-sized newborns only weigh between 4 and 5 ounces, but this is far from their final form. Nigrita, by comparison, tips the scales at 220 pounds. 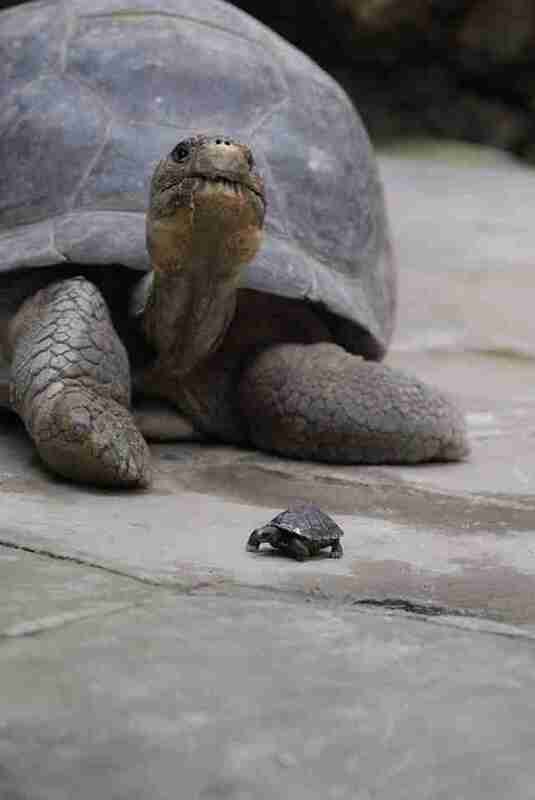 Female and male Galapagos tortoises can weigh up to 400 and 700 pounds, respectively - so mom is still growing too. What's most remarkable about these iconic animals is the fact that they are among the longest-living creatures on the planet. 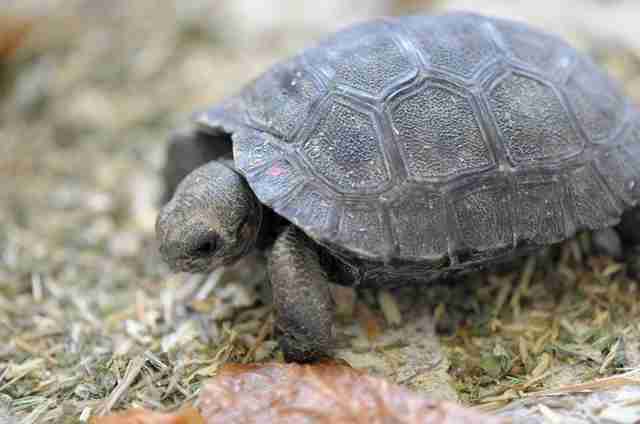 It's believed that Galapagos tortoises can live to be around 200 years old, meaning these tiny hatchlings very might well go on to experience a future no person who's alive today will be around to witness. But at least we got to enjoy their baby pictures!